This was going to be a cigar box guitar. A simple one day build. Then I looked up on my shop wall and noticed a New Hampshire license plate that had been hanging there for years. It belonged to my late father-in-law and I immediately knew I wanted to use it on a guitar. I built my own "cigar box" out of cherry and poplar and a neck out of maple. When it came time to cut holes in the license plate for the bridge and pickup, it just sort of worked out to be... nice. 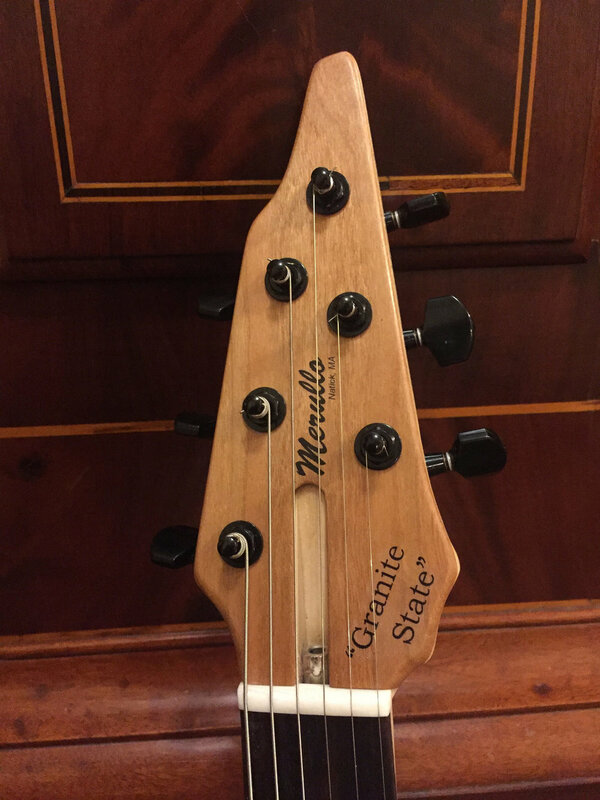 Since there aren't too many U.S. states that are roughly headstock-shaped, you have to take advantage of it when you can.